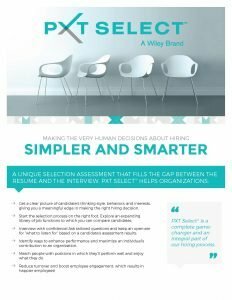 Learn how to make the very human decisions about hiring simpler and smarter! Join us at an upcoming showcase to see firsthand how PXT Select™, using the latest innovations in assessment technology, takes hiring and development to the next level. 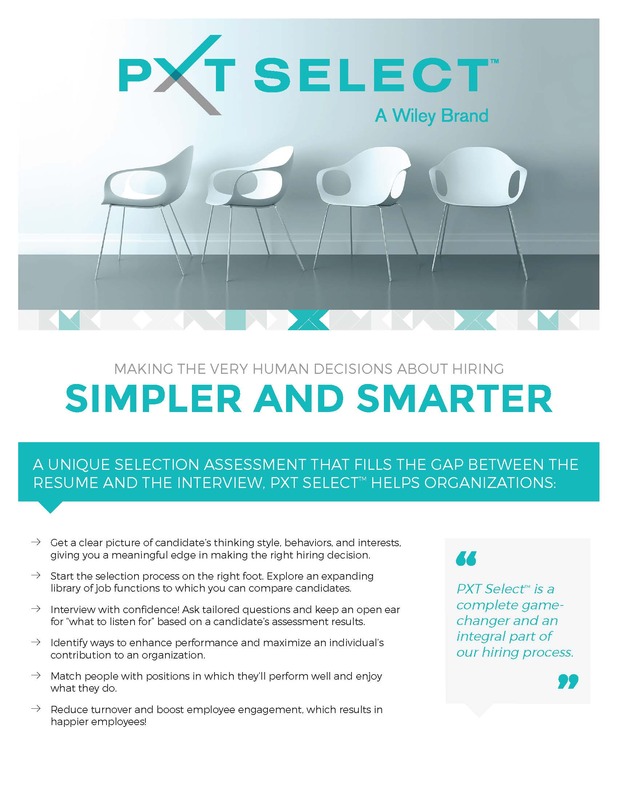 Combining 20 years of research with cutting-edge computer adaptive testing, PXT Select gives you a meaningful edge to hire the right candidates.